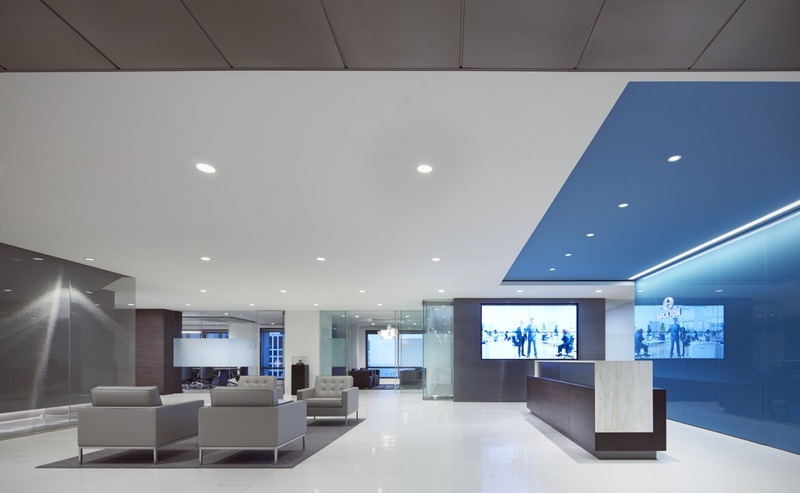 The world’s largest privately owned insurance brokerage firm, Lockton is widely respected for its expertise, dependability and quality service. 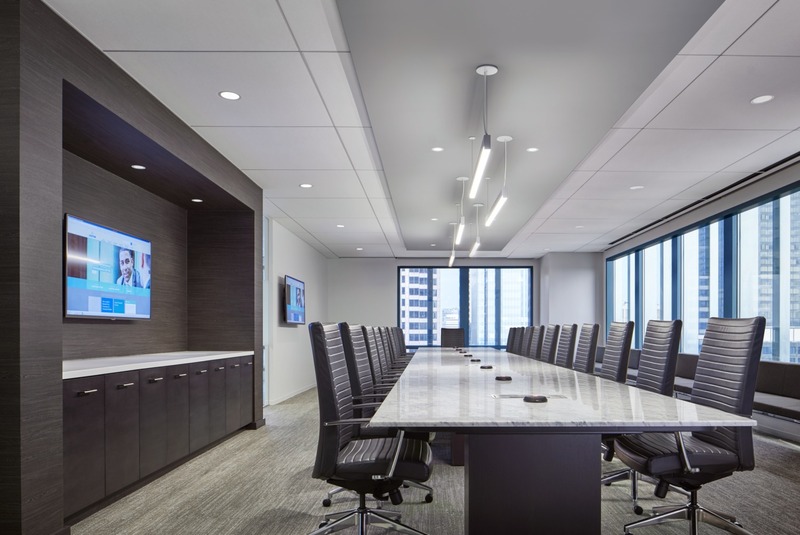 Its Chicago office is tastefully designed to represent these values and welcome Lockton clients as true partners. 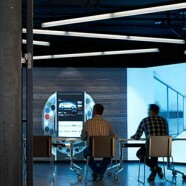 The workspace is a model for the rest of the organization, building culture reflective of the business model and brand. The workplace emulates an innovative and energetic vibe that appeals to employees and reflects the organization’s vision for the future. 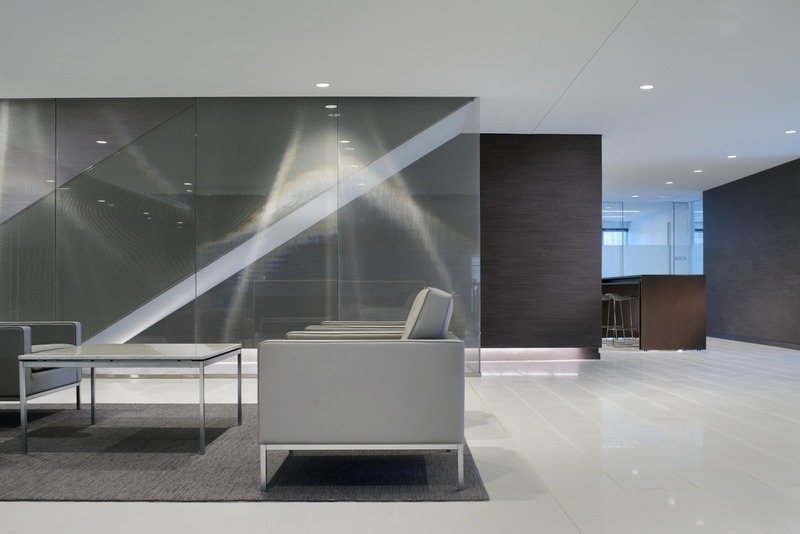 A progressive workplace, Lockton’s office incorporates patterns of speed and movement while promoting high performance across formal and informal environments. Every desk offers sit-stand control, giving staff a desired choice in the work environment related to physical activity. 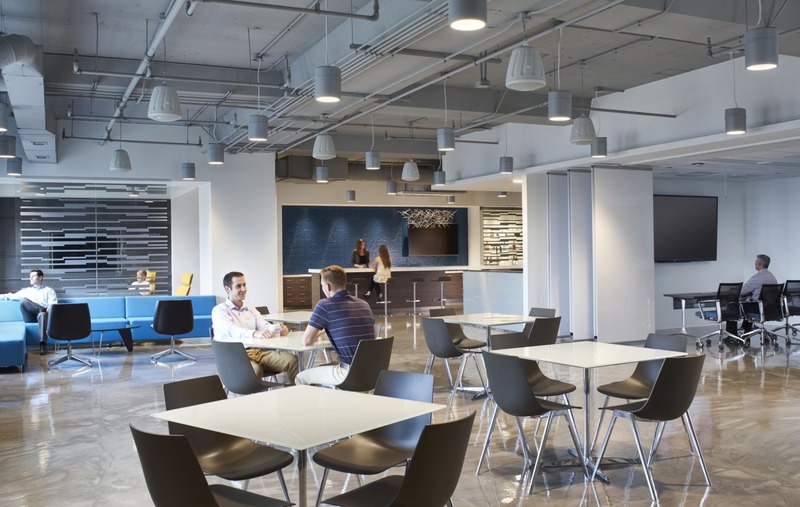 The Lockton office is focused on driving collaboration and achieves this by lowering barriers, both built and figurative. This design change allows employees to connect more frequently, driving mentorship and team interaction. The café is the ultimate collaboration space in the workplace, equipped with a bar, ping pong table, café seating, smaller intimate meeting areas and a training space with moveable doors. 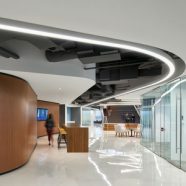 This flexibility allows for myriad uses and numerous areas for connection among employees and visitors. Discreet partitions allow collaboration areas to be adjacent to neighborhoods without disrupting individual work. The office has exceeded my expectations and is an awesome combination of function, technology and comfort. 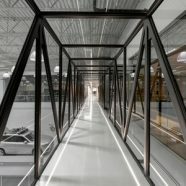 It is a place that our Associates look forward to coming to… From the constant use of the enclaves to our Associates routinely standing at their desks, it has buzz and energy. Those that we are recruiting that have come through have been blown away, as have other visitors with whom we do business. 52,000 s.f. | 4,830 s.m. 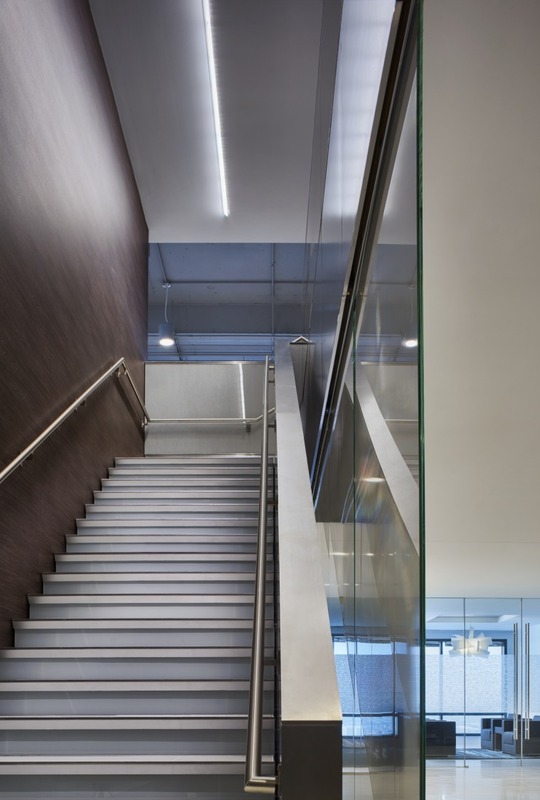 Improving Workplace Wellbeing: Strategies to Improve Physical Activity in the Workplace via Design.